No trip to Puerto Vallarta would be complete without experiencing its amazing cuisine. Not only can you enjoy the traditional tacos and enchiladas of the area, but Puerto Vallarta is truly a food lover’s paradise. It is a region full of gourmet restaurants where the chefs use traditional Mexican spices and recipes but have tweaked them to add their own innovative takes on the traditional. Our group of culinary writers explored a variety of exceptional dining venues. Our hotel, Marriott CasaMagna, wowed us with a special dinner on the point of the property where many weddings take place. We were surrounded by water on all sides and tropical breezes encouraged the palm trees to sway as a greeting to this beautiful spot. Our meal consisted of a “Six Course Menu around Mexico,” a gastronomic tour of Mexico, starting with Tlayuda, a mini-quesadilla with pre-Hispanic roots from Oaxaca. This was followed by a Lime Soup from Yucatan, Crab Enchiladas from Veracruz, an Avocado Sorbet from Michoacan, Skirt Steak Borchette from Sonora, and a delicious dessert of Corn Bread with a Chiapas Coffee Sauce. A tequila pairing accompanied this creative meal. I enjoyed this meal so much that I am planning to prepare it for my gourmet dinner club the next time I host it. Café des Artistes is the setting for unique Mexican art inside a contemporary restaurant. Chef Thierry Blouet, head of Gourmet Festival International, sets the stage as a gregarious and charming host renowned for his creativity and passionate style. 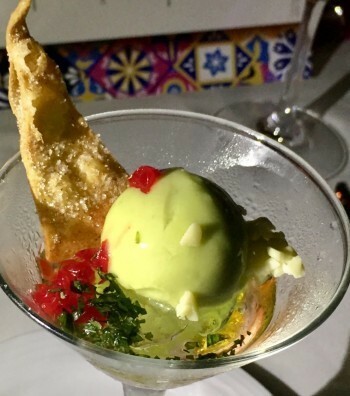 An example of his unique style was displayed in the amuse bouche of pineapple and orange foam over ceviche. Our main course was Confitted and Roasted Duck Leg with sautéed potatoes, baby fennel, and chilhaucle mole. The dessert tray we savored at the conclusion of this fabulous meal was the most spectacular and elaborate dessert presentation I have ever seen. Arrecifes Seafood and Steakhouse, the Westin Resort & Spa Puerto Vallarta restaurant, was the outdoor pergola setting for a dinner divided into seven chapters, each accompanied by a Mexican wine. Dishes ranged from Beef Carpaccio with Arugula, to Wild Mushroom Risotto with Black Truffle, to Braised Short Rib with Molasses Sauce. We enjoyed sipping our layered Sangrias atop a rock wall bordering the ocean, the perfect setting for a Puerto Vallarta dinner. Fireworks on the beach completed the magical evening. 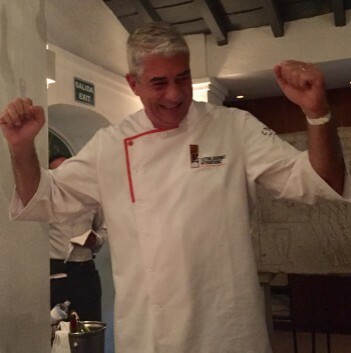 One of the newest and most interesting restaurants in Puerto Vallarta is Tintoque. Chef Joel Ornelas and staff prepared an artistic dinner amid a casual, contemporary environment. Chef Ornelas, a talented young chef, takes local recipes from his grandmother’s days and reinvents them with advanced techniques. Not to be missed is the Camaron Frito—shrimp coated with sesame seeds in a chipotle emulsion. Another dish loved by all was Sea Bass served with Smoked Pineapple Puree accompanied by a Celery Salad and Guajillo Pepper Salsa. 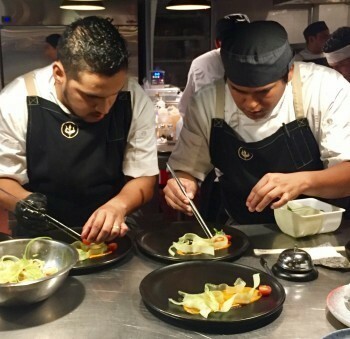 We understood why Chef Ornelas is considered to be an expert at such a young age as we watched him and his team precisely plating each serving. 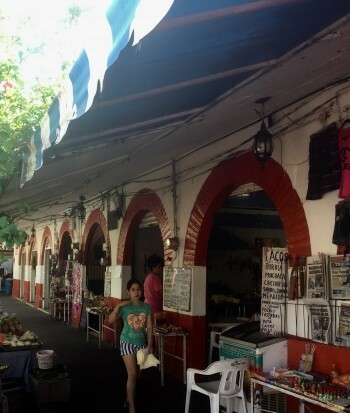 Our last morning was spent on Vallarta Food Tours' Original Downtown Vallarta Tour. This three-hour food tasting and cultural walking tour offers a local's view into Mexican culture through its delicious and intricate cuisine, rich history, and stunning architecture. 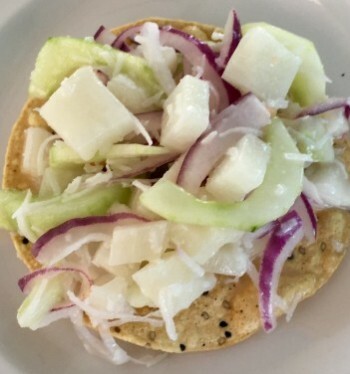 We experienced off-the-beaten path eateries comprised of taco stands with regional delicacies from places like El Guero and Mole Rosa as well as Robles Birria Tacos (a slow-cooked meat stew served on tortillas). We saw fresh produce stands as well as local vendors preparing tortillas and peeling the agave leaves. I highly recommend the Marriott CasaMagna in Puerto Vallarta. From the moment you walk through the open-air doors, there is a sense of relaxation and tranquility. The architecture is luxuriously casual with a beautiful infinity pool. Spa treatments are available and the hotel is set among the Sierra Madre Mountains right on a pristine sandy beach. The service was never disappointing—from checking into the hotel to meals and concierge service. Bus service runs right in front of the hotel. Rooms are filled with comfortable beds with fine linens and spotless marble bathrooms. Breakfast at the CasaMagna will set you up to tour or enjoy the pool for the rest of the day. A multitude of stations await you with every imaginable Mexican breakfast dish as well as traditional American fare and fresh fruit, juices, and pastries. 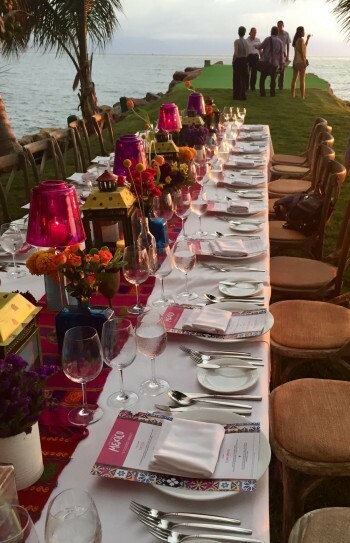 Mexico's Festival Gourmet, held annually for 10 days every November, will be from November 12-November 20, 2017. Interested parties are encouraged to buy tickets early because culinary events sell out quickly. 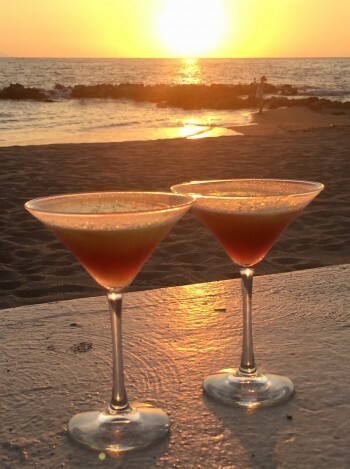 Cocktail parties, progressive dinners, cooking demonstrations, theme nights and gourmet buffets take place in the region's best restaurants, including Café des Artistes in Puerto Vallarta, Nicksan in Nuevo Vallarta, and Emiliano in Tepic. 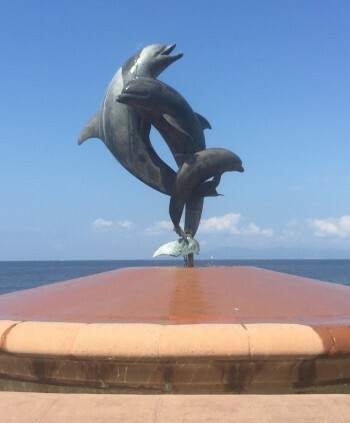 Puerto Vallarta offers so much fun, sun, and great food in a romantic and friendly atmosphere with the feeling of traveling to an exotic destination. Remember, this was the place where John Huston filmed “The Night of the Iguana,” starring Liz Taylor and Richard Burton, because of its beauty and because the two were drawn to this enchanting place to vacation. Puerto Vallarta continues to draw stars such as Brad Pitt, Demi Moore, and Orlando Bloom to name a few. Why not follow in their footsteps and enjoy this magical spot.